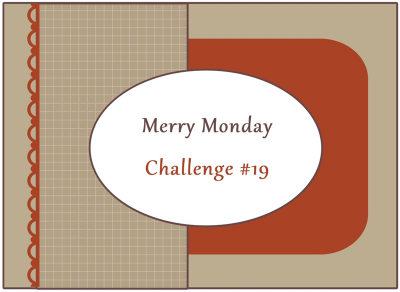 I made this card for the Merry Mondays Christmas Challenge. This month my friend Colleen is the Featured Designer at Merry Mondays. I decided to play along with the fun sketch this week. 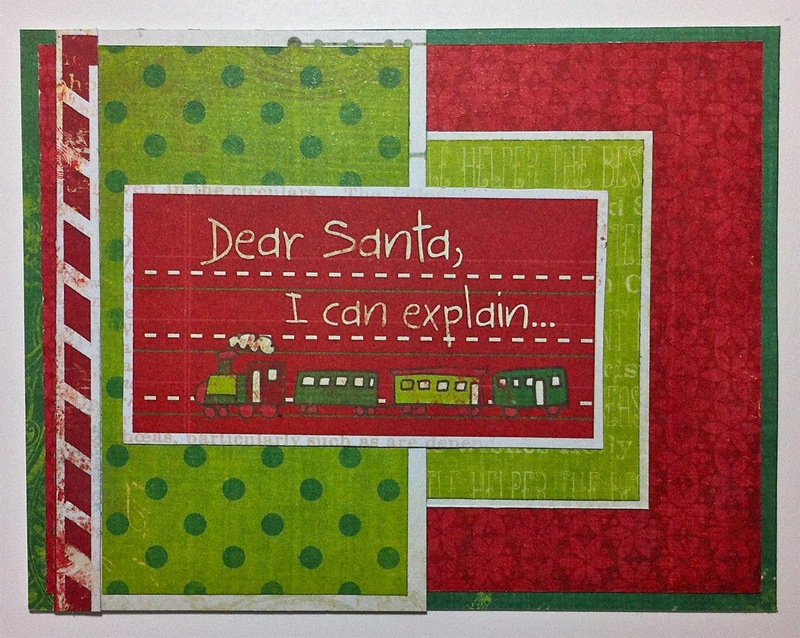 I used this pretty paper by We-R-Memory Keepers from the Peppermint Collection. I couldn't resist using this cute sentiment!! Thanks for stopping by! 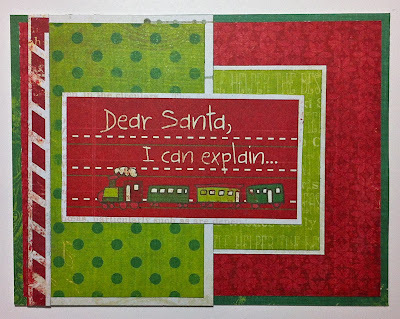 LOL, what a cute card---sure to bring a smile to someone this Christmas! Thanks for playing with the Merry Monday sketch this week! Super cute card, great sentiment. Thank you for playing Merry Monday. Oh how cute. Love the papers too. Donna, I am sooooo glad you came to play with us at Merry Mondays! I saw your name and said, "Yay!" What an ADORABLE sentiment on here! It's funny and cute. :) Have a great weekend! Great use of DP!... should I start making my Xmas cards yet??? The sentiment rocks - I think I need that for me! LOL! Absolutely perfect sentiment, I think of all the children I teach and these words made me smile. Thanks for joining us at Merry Monday!